Abel Ferarra’s low-budget B/W vampire art-film is one of the more aberrant results of the 1990’s vampire explosion. Set in Ferarra’s usual New York City, the films re-imagines the city as a locus of soul-crushing physical addiction and mind-bursting intellectual nihilism. Lili Taylor takes on a rare lead role as a bright philosophy student who runs into a vampire one night (Annabella Sciorra looking memorably menacing) and soon spirals into a personal hellhole of pain and cynicism. The film reaches for the stars with its heady blend of (often conflicting) philosophies. There is enough outright BS to keep everyone unbalanced, an effect immeasurably aided by Taylor’s unreliable mental narration. Perhaps most successful is the central metaphor of addiction, paralleling the insatiable craving for blood with the drug-dependent society of the New York fringe. Ferarra’s talent is often buried under layers of gore and monologue, but his thoughts on substance abuse and psychology are far more coherent (if you can believe it) than the similarly ambitious, but less satisfying vampire cult film “Ganja and Hess” (1973). Taylor adequately communicates the inherit ups and downs of desperate need and unwholesome fulfillment. Her tortuous personal odyssey culminates in a graduation party of orgiastic hedonism and a prolonged collapse into moral bankruptcy. Christopher Walken has a cameo offering a possible way out, using a system of spiritual meditation and strict self-control to lead a life vampiric moderation. Taylor’s character insists on finding her own path and the ambiguous ending leads us unsure of her ultimate success. The black and white cinematography is a definite notch above Ferarra’s usual graininess and rough imagery. The boldness of the gritty landscape with the austere crispness of the camerawork lends a contrast of in-your-face realism and inaccessible detachment. The film is undeniably talky and pretentious and yet quite sincere in its desire to communicate the tearing disparity between intellectual heights and physical depths. Throughout the feature references to global traumas, high art, scarred counterculture and personal suffering drive home the message hard… whatever that message is. 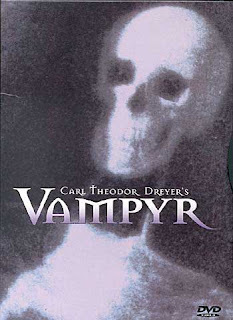 The well-regarded Danish director Dreyer, departed somewhat from his art-house dramas to make this early vampire film. Though outwardly embracing the horror explosion going on in America, within minutes its clear that Dreyer has an unconventional take on the vampire world. Allen Grey is an unlucky wanderer without much background who finds himself in a strange region near Courtempierre. He is plagued by disturbing visions (possibly hallucinations) of the local peasants behaving in ghostly and unnatural ways. Unsettling shadow-plays take place in the fields, and sparse buildings suggesting the proximity of a dark mirror world. Allen takes up with a beleaguered lord in a cavernous castle and soon perceives the danger (both from illness and malicious outside forces) that are driving his daughter, Leone, to her deathbed. Overcoming his fear, our protagonist sets about to end the reign of the powerful vampire witch behind it all. “Vampyr” is probably the most insufferably slow vampire films of all time and requires a fair bit of patience to endure. The creative visual effects and silent-era atmosphere reward viewers who can tolerate the olden style. Fans of Dreyer will appreciate of his minimalist perfection of texture and framing. The cinematography is cast in glowing, faded grays and saturated whites (an effect which coincidently causes lights to “bleed”), while shadows are reserved for silhouettes and arty compositions. Julian West (Allen Grey) is not compelling as an actor or character; the real interest lies in the demonic agents of evil and the nightmarish events of the cursed countryside. Avoid this one if you are only a fan of the glossy vampire blockbusters of the past two decades. However, those with a taste for horror films in the vein of “The Phantom Carriage” (1921), “Haxan: Witchcraft throughout the Ages” (1922) or Dreyer’s “Day of Wrath” (1943) will find another favorite. Bela Lugosi created one of the most enduring portrayals of the infamous Count in this 1931 monster-movie classic. It is probably the most famous and oft-seen Dracula movie though it is not without its disappointments. It is also the first official adaptation of Bram Stoker’s novel, though it still contains many deviations – notably the ending (which always seems to get changed). The celebrity-infested borefest which is “Bram Stoker’s Dracula” (1992) keeps the original finale wherein (spoiler alert), Dracula is chased back to Transylvania and killed by a minor character while being transported by gypsies. So what is the default cinematic Dracula story? Quick summary. Renfield goes to Dracula’s Transylvania castle to sell him a plot of land (Carfax Abbey) in London. 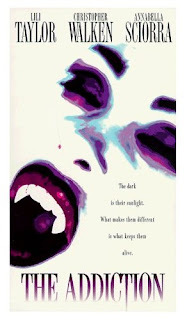 He becomes the vampire’s insane minion, and the two head to England, where he harasses seduces and bites Lucy, a sought-after beauty. John Seward (usually Lucy’s fiancé, but here the father of her friend Mina) dispatches her. 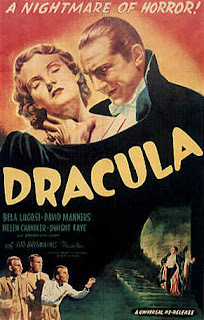 Dracula turns his attention to Mina who is saved by Seward and his vampire-expert friend, Dr. Abraham Van Helsing who puts an end to the eon-old villain by driving a wooden stake through his heart. The film is rather sparse and simple, conforming to Universal’s successful horror model which relies little on gore and effects and more on tension and mood. Unfortunately, Tod Browning channels too much of the Victorian novel’s aloof air and gradual pace. He also translates, to detrimental effect, the stage play’s static perspective and limited character movement. Possibly the only beneficial inheritance was Lugosi, who played the hematophagous hell-spawn on the stage. The sets lack the style of later adaptations, but come closer to realism and the early scenes in Dracula’s cyclopean castle and vaulted catacombs make up for the menace missing in the later indistinguishable studio standbys. Werner Herzog’s “Nosferatu: Phantom of the Night” is one of the few explicit remakes of a former vampire movie, taking its inspiration from the unofficial 1922 film “Nosferatu” and not Bram Stoker’s novel. This has some advantages, like a pre-existing supply of creepy moments and expressive gestures to draw upon, but also limits the creativity and mad genius Herzog is so known for. The plot is almost identical to “Nosferatu’s” pared-down retelling. Jonathon Harker heads abroad to sell Wismar (usually London, but changed to match the sets and locations of the earlier German feature) property to a reclusive count. Harker’s host hones in on an image of Jonathon’s fiancée, Lucy, and is smitten. He agrees to buy a neighboring estate. Dracula then wields his powers over Harker and even (through dreams or some other telepathic bond) influencing Lucy and Harker’s employer, Renfield. Harker is eventually freaked out enough by life in the musty den of supernatural dread to try escape, accidentally incapacitating himself in the process. Nosferatu, accompanied by the plague, supersedes him to Wismar. In the cataclysmic chaos of death and disease, the count tries unsuccessfully to woo Lucy. With the help of Van Helsing and Harker’s tattered guide to vampires, Lucy learns that Dracula is the [cause of] the plague and can be destroyed through a sacrificial gesture. The story is inevitably dull for anyone who has been through the Nosferatu/Dracula motions more than once or twice. Herzog has made changes, but his script surgery is a subtle operation and I was honestly disappointed by his lack of revisionist vision. Some of the best tweaks include a virtual flood of rats, Dracula’s self-loathing and pitiable decay and a twist ending where the vampiric legacy lives on. Herzog keeps things heavy and stylish, but with a distinct German New Wave malaise and nihilistic torpor, rather than the expressionistic play of light and shadow so integral to F. W. Murnau’s interpretation. The inspired use of Krautrock trailblazers Popol Vuh for the soundtrack enhances the detached, otherworldly ambience. Perhaps where this version succeeds most is in the casting and acting (the three leads are each amongst my favorite European performers), something which is quite rarely true for the subgenre. Klaus Kinski makes one of the best Draculas of all time, fully committing himself to the grotesque makeup design and eccentric behavioral quirks. He brings a great deal of nuance and emotion to the character, developing the doomed melancholy and bruised romanticism more often attributed to Frankenstein’s monster or King Kong. The role of Lucy belongs to Isabelle Adjani who manages to be both sensual and distant and comes off deeper and creepier than is usually called for. Veteran actor Bruno Ganz has the most thankless role as the nominal protagonist, Jonathon Harker, but still puts in a solid performance as a bewildered man totally out of his league in the face of paranormal powers. “The Hunger” opens with a cult music video sequence of Bauhaus’s “Bela Lugosi’s Dead,” which is reason enough to see the movie for some. If you’re like me, the chance to see Catherine Deneuve as a refined bisexual vampire queen with David Bowie as her dying lover is worth the rental price. However, the movie as a whole is never quite the indie masterpiece that these parts should sum up to. Part of the problem is Tony Scott’s direction, which fails to explore anything below the surfaces he so admiringly presents. Some of the problem lies in the Whitley Strieber source novel and the unfocused adaptation. What little plot we’re given is spread thin across a vampire love-triangle where passions flare, but yearnings are never fulfilled. Miriam (Deneuve) is an ancient vampire with culture, class and poise to spare. Every few centuries she takes a new lover (the latest is Bowie’s John) and grants them temporary immortality with the nourishment of her blood. Unfortunately, it never lasts. At the end of their prolonged, youthful life, her partners age rapidly. Unable to die, they are trapped in decrepit skeletons too weak to rise from the attic coffins where Miriam collects them. In John’s last few hours, he visits an aging specialist (Susan Sarandon) who refuses to believe his claims and feels guilty when she sees him literally fall apart before her eyes. When she goes looking for him later, she meets Miriam and the two enter into a dance of distrust, disgust and seduction. Tony Scott is a born stylist, and it often accounts for both his appeal and undoing. 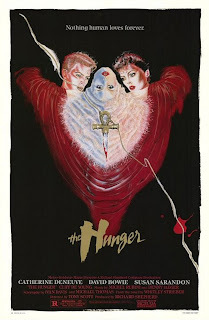 “The Hunger” has the look and feel of wealthy gothic chic, and the mood would, honestly, not be quite the same without the slow pacing, gracefully panning long takes and minimal dialogue. Though it probably could have benefited from more characters, sets and plot developments, it still excels at indulgent decadence, and remains required viewing for the hipster elite. I would not be able to forgive Isabelle Adjani if any performance she had was neither deep, nor creepy. In "Dracula", I've also always liked Dwight "insane minion" Frye as the asylum inmate, Renfield. He's pretty over the top, but quite fun both here and as Igor in "Frankenstein." He reprises essentially the same role in the far inferior "Dead Men Walk" (Sam Newfield 1943), a story about a doctor who must defend his ward from his evil twin brother, the vampire. Just for you, I watched something horrible. So far as I've seen, that pretty much holds. Which is part of these reason she eats French Oscars for breakfast. Should I see "Dead Men Walking"? How could insane asylum + evil twin + vampire not = something great? Interestingly, the DVD I bought with "Isle of the Dead" also has "Bedlam" with Karloff as an asylum tyrant. oooh Bedlam is fun. I like the guy who thinks he is a dog and bets with dogs in poker. Don't make an effort to see "Dead Men Walk" - it's amusing at times, but on the whole rather dull and talky for something with such a wonderfully lurid premise.